A Day Late and A Dollar Short: AMAZON - Harry Potter: The Complete 8-Film Collection - Only $39.99 SHIPPED! AMAZON - Harry Potter: The Complete 8-Film Collection - Only $39.99 SHIPPED! 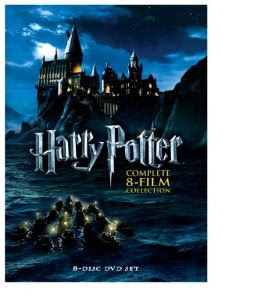 Right now, Amazon is carrying the complete eight-film Harry Potter collection on DVD for only $39.99, and that is SHIPPED! Click below to view and/or purchase.